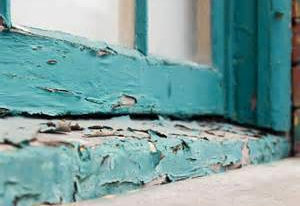 Lead paint is not a health concern providing it is not disturbed, however lead dust generated from minor home repairs can pose a serious health risk to pregnant women and children. Lead paint is responsible for the majority of childhood lead poisoning. Up to the 1950s, Australian paint could contain as much as 50% lead! It was eventually reduced to 0.1% in 1997 where it currently stands. Many of these paints are marketed as ‘lead free’. Lead dust may arise from renovating an old home that contains lead paint (used up until the 1970s in Australia), lead in vehicle emissions which was phased out in 2002 (there are tonnes of lead dust still lying around our roadways), emissions from the mining industry, candles with leaded wicks or it may occur unknowingly as a result of one’s career or hobbies (fishermen who use lead sinkers, lead light enthusiasts, furniture restorers, mechanics, shooters and painters). If you are involved in any of these hobbies or careers, it is recommended that you remove clothing in the laundry and shower before your enter the house. Remember that pets can also bring lead dust into a home! Lead may also arise from our drinking water. Click here for other sources. Lead poses a serious health risk as it is associated with anaemia as well as learning and behaviourhal problems including reduced attention span, altered motor development and poor performance in children. It is also harmful to pregnant women as it may lead to premature birth, low birth weight, miscarriage and still birth. Lead test kits are available through The Lead Group and can be used to determine if lead is in the paint before you renovate, or if your soil, dust, drinking water, ceramics, toy paints or jewellery have too much lead in them. Before moving children or pets into a pre-1997 home test at least one dust wipe and one soil sample for lead to determine fi the house is lead safe. For lead test kits, click here.